Denise Tryon interview – We've Moved! In 2009, Tryon founded Audition Mode, a yearly horn seminar, with Karl Pituch. In 2010 she was an International Horn Society (IHS) Northeast Workshop Featured Artist. She was a contributing artist at the IHS Symposium in San Francisco in 2011, as well as one of the Solo Artists at the Nordic Hornfest in Norway in 2012. 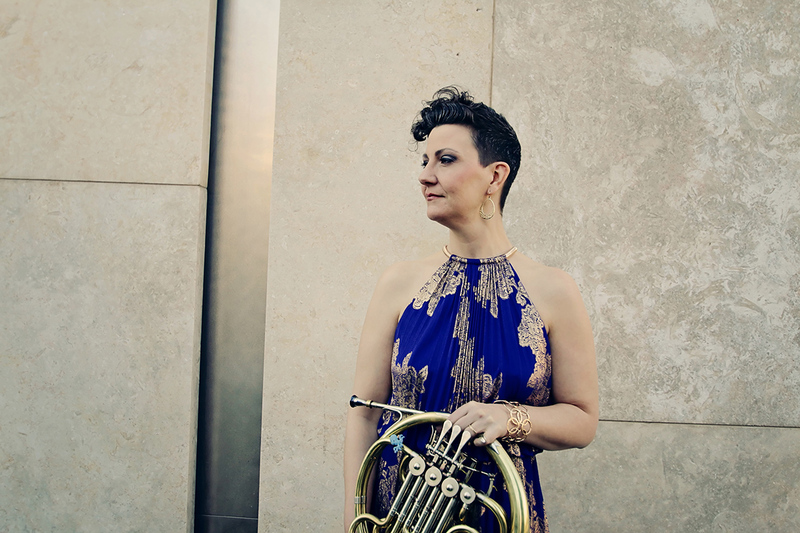 She was on the horn faculty at BIBA (Blekinge International Brass Academy) in Sweden in 2013, as well as one of the Solo Artists at the Warsaw Horn Workshops that same year. In 2014, Tryon was a Featured Artist at the IHS MidNorth Horn Workshop, and in 2015, she was a Featured Artist at the IHS Symposium in LA. Since 2007 she has served on the faculty of the Peabody Conservatory in Baltimore. 1. How long have you been teaching? What do you love about teaching at Peabody? Any favorite teaching moments? I have been teaching at Peabody for 10 years. I’ve had a private studio since I was 23. A few years ago I also taught at Temple University and Towson University. What I love about teaching, regardless if it’s an institution or privately, is the students. Watching those lightbulb moments is really rewarding. There are so many great moments in teaching. Here’s just one: I was working with someone going through an embouchure change. The high range is always the last thing to come back after a change. The first time this person obtained a high C, we both got up and did a little dance around the studio! I’m just happy to watch them develop and witness their success in life. 2. Tell us about your path from leaving a traditional orchestral career with the Philadelphia Orchestra to becoming the low horn specialist that you are today. Through your teaching videos, audition workshop, and your online course, your branding and social media presence is very inspiring and helpful to many. How have you cultivated your low horn brand over the years and we have to ask, why the octopus? Any secrets of success for teachers and students? Well, I was certainly a low horn specialist before I left the Philadelphia Orchestra. As soon as I won my first job in the Columbus Symphony, I specialized in the low register of the instrument. As I moved my way up the orchestral ladder (Columbus, Baltimore, Detroit, Philadelphia) I became more and more interested in making an impact on the low horn world. I wanted to commission pieces for people to be able to work on and enjoy playing in the low register, since there weren’t many pieces already written. Around the same time, many people were playing for me, some for audition help, some for help just in the low register generally. I realised there was (is) a huge need for information about the low register on the horn. This is when I decided to start making teaching videos. In the beginning they were just about orchestral excerpts, but I have now started a 1 Min Q&A series where people can ask me anything about the horn and I’ll make a short video. I can’t get as specific as I would like in those videos, but at least I’m getting some information out there! I want to show people you can be a great musician and a low horn specialist! 🙂 As for “secrets of success”, I would say, focused, fundamental work is key. Work to ensure you are a well rounded player (you’ll be more employable) and be demanding, yet caring of yourself. There are 4 elements I look at when I am teaching someone (including myself): physical set-up, technique, music making and mental attitude. Don’t leave any one of those behind. You will only be as good as your weakest link! Now, for the octopus. I love them! I just happen to read an article about them roughly 6 years ago, and it has taken off! I wanted my logo to be one (and one of his arms turns into a horn), I have a little one attached to my horn, and people give me them as presents (not real ones 🙂 ) all the time. Octupuses are so incredibly interesting, unlike anything else on this planet. 3. Do you think we have a specific role or responsibility as female brass players? How do you incorporate that (or not) into your own life as a musician? I want to be a role model for young women to show them you can be a strong, slightly weird, passionate woman and have a great career. I’ve always marched to the beat of my own drum and at times I was admonished for it. If you let it, it can knock you down. But the true win is getting back up and going after what you want. The biggest aspect for me in my career is being sure young women see someone to model, and that means in our brass conferences, our interviews and podcasts, our accolades, we need to have women represented! There are many times I look at what is being publicly presented and there is NO balance. I truly don’t understand when that happens. There is still work to be done, sadly. When a conference happens and an extremely small percentage of the artists are women, we are showing half of the population they don’t have a significant role in our field. That’s unacceptable. We need to push for more inclusion. 4. Do you see any specific challenges for musicians in today’s climate? How do you mitigate those on your own and for your students? Today is a great time to be a classical musician. There are so many more doors open for us. You don’t have to follow the traditional road and become an orchestral musician. There are also a lot of really great players out there, so you need to be improving your playing always! Find something you are passionate about around your instrument/classical music/teaching/etc, and focus on that aspect. Be open to change. You think you know what you want when you’re in school, but life takes weird and interesting curves. Stay open to what that will bring. 5. Is there anything you wished you had known as a student or young professional that you know now? Any advice that you’d like to share with younger female musicians? Are there things I wish I’d known sooner? Yes. But I fully believe people and information are brought into our lives when we are ready to receive them. So I don’t look back and say, “I wish I’d known then what I know now”. There is so much more information available now, it can be overwhelming and at times confusing. Trust your teachers and yourself. Speak your mind. When you are younger, it’s easy to fall into the thought process that the fight (I am not a fan of that word) for equality is done. This simply isn’t true. You will run up against antiquated thoughts some of the time. Don’t accept it and try to deal with it in a positive way. I love The Music Lesson by Victor Wooten, Schubert Lieder sung by Dietrich Fischer Dieskau, The Swingin’ Miss “D” (Dinah Washington), and The Bulletproof Musician.